The smell of coffee first thing in the morning. I stick my nose in the bag. I know coffee snobs grind their own but I’m not a coffee snob. Although I do know what’s good so I went to the best place, got a ceramic filter (and paper filters), and a recommended coffee, after telling them what I wanted. I have my North Node in the 6th House of daily routines but in Pisces. Paying attention to the details is necessary but a Neptune attitude (don’t sweat the small stuff) is also advised. Some lovely discussions on the blog lately and the question of what happens when the South Node is conjunct the Sun or some other marker of WHO. YOU. ARE. It’s a paradox, isn’t it? You have to become less you (the Sun) to become more you, better you (North Node). I admit I see this fairly frequently in client charts. And there is no one-size fits all answer. But I remember recently dealing with a 7th House/ARIES/South Node and trying to explain to this sweet soldier soul that he could and needed to be more himself (1st House) but through Libra (relationship/partnership/other people). I use those phrases “lower vibration” and “higher vibration” all the time. My teacher spoke that way. And I believe it. I am always searching for the best way to express, live, the energy. For example, Pisces needs to escape. It’s not an option NOT to. But there are higher and lower forms of it. Last night I was not in the best mood. I even left my meditation class (Pisces!) early. I got home. Didn’t turn on the lights. Had some conversation with a friend by email but mostly tuned-out the world. Didn’t blog. Didn’t Facebook. No music. Mostly me in the dark with the light of a friend. I don’t even think I watched a movie. This was my Pisces escape. And a 6th House Pisces North Node means I need to schedule this in. Schedule in the disappearance. Thank you Tarot for a more cheerful card 🙂 6 of Cups. I always get a sweet feeling when I see this card. Friendship. Possible romance Could be someone from the past showing up (hello Mercury retrograde!). You may also be feeling nostalgic. A perfect card for Pisces Season, especially Venus in Pisces who is always long for the past, present, or future! My wish for you though is that this sweetness is real. Think about the Tarot sixes. They are all “good” cards (of varying complexity). I even love the Six of Swords. It’s one of my favorites. The six pointed star is the Star of David, a shield of heavenly protection. The sixes know this. This card, although possibly referring to the past is squarely in the present. Those flowers are alive and that little guy is making an effort, he’s bending down to see her, to meet her, to meet her eyes, to give of himself. Oy. I almost made myself cry there, creating such a sweet scene, but I feel it. A card of sharing, a card of blessing, a card of love. It may also signify having a baby. The Moon is in Libra now. Seek peace inside yourself and with others. The Sun is conjunct Chiron in Pisces. Let it be healing and not hurting. Make amends. Tomorrow Venus will conjunct Neptune (by degree) but we are under the influence now and… spooky isn’t it? How perfect the 6 of Cups is for this day? Love. Enjoy this sweetness because Friday afternoon the Moon enters Scorpio and we go underground again, we writhe and roil in intense emotion. For the moment though, we’re above the waves. Other noteworthy aspects this week: Sun sextile Pluto and Sun trine Saturn. Who you are, who you want, what you want is that much more defined and deep. I especially like Sun trine Saturn here because we need something to push against. Sun trine Saturn is a dam. It keeps us safe. The South Node discussion sounds interesting. My 8th house Aries SN is just a few degrees away from my BM Lilith/Sedna conjunction, which is exactly opposite my Libra Sun (which is conjunct my NN/Venus). It makes me wonder sometimes, who the real me is and how to combine the two sides of my nature in a spiritually holistic way, without falling back on the negative aspects of either side. 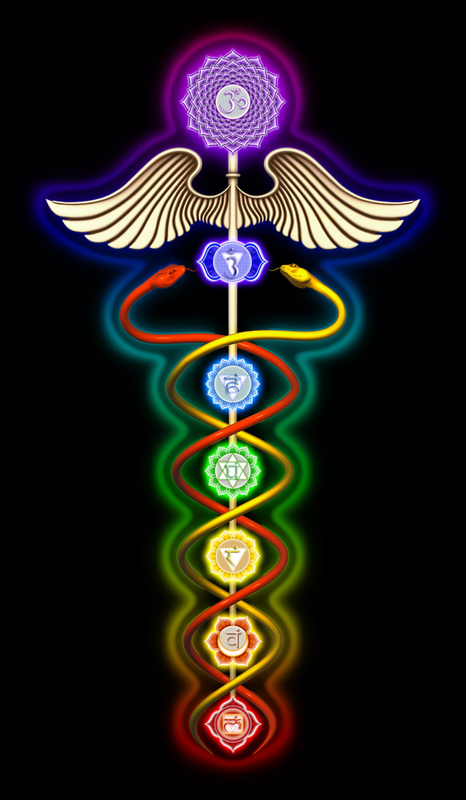 Living out the ‘higher vibration’ of each is an ongoing process. Libra is about love and balance, so that helps. My Libra NN progressed into my natal 12th a few years ago, so I kind of relate to your 6th house NN in Pisces. Once again, it’s about finding that healing balance of energies and of moving beyond the boundaries of everyday life without ignoring its realities. I agree with Tracie, this was a beautiful post Aliza. Thanks, LB 🙂 I agree. “finding that balance of energies” without ignoring reality…. What a Beautiful post! “The Sun is conjunct Chiron in Pisces” this is conjunct my Chiron & Moon in 6th house. There was anticipation more than worry, I’m thinking the Full Moon opposite this highlighted the fixable-it was conjunct Venus & Pluto. Next post The Stars This Weekend: Moon In Scorpio!